I have never been so patient waiting for a product to return! Like a fiend I checked the MAC site once a day waiting for Heroine to come back when I heard the news that it was becoming permanent but alas, it never came. I have never jumped out of bed so quickly. I placed an order for the almighty Heroine and Flat Out Fabulous after recommendations from Twitter. I could not wait to try this out! I was still on the fence about Flat Out Fabulous after swatching it but bit the bullet anyway. When the package came I was like an over excited child! I applied the lipstick IMMEDIATELY! 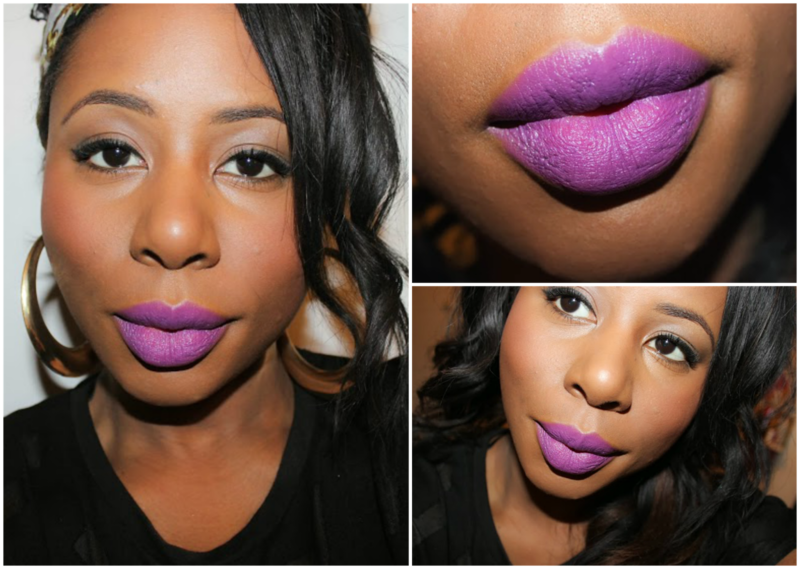 Heroine is a gorgeous bright violet creamy purple in a matte finish. Perfect for all skin tones but really beautiful on deeper skin tones. I found that this applied so smoothly, a lot smoother than Ruby or Riri Woo, it did not drag against my lips and was very comfortable to wear. Pigmentation wise, first application was pretty impressive, however one or two swipes is really needed to get the most out of this vibrant colour. Below I’m wearing Heroine without any lip liner. I can definitely see why almost everyone loves this colour, I think it works so well on my skin tone. One thing I did experience was staining though, so watch out, otherwise I am glad I purchased it! If you don’t want to splash out the cash on Heroine, I’ve found that Revlon’s Matte Balm in Shameless and Topshop’s lipstick in Straight Ace are good dupes, not exactly the same but great alternatives! 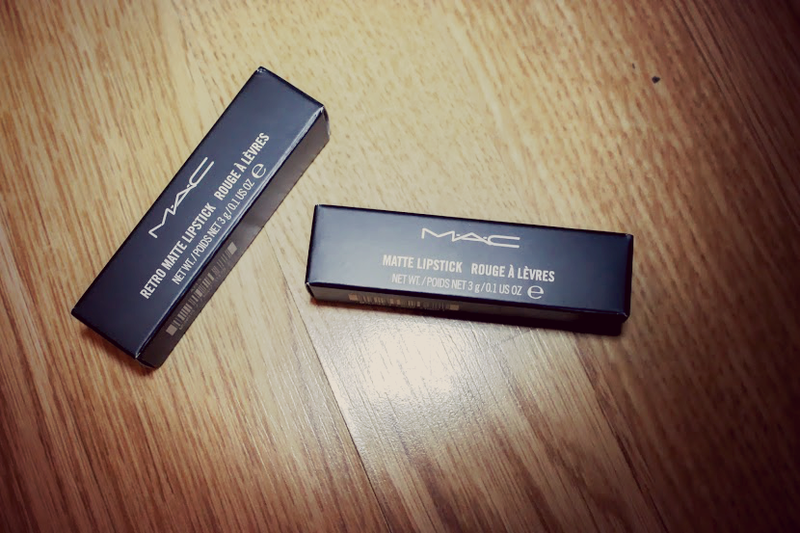 A relatively new release from MAC which is a permanent part of their Retro Matte collection. FOF is a bright cooled toned fuchsia lipstick once again perfect for all skin tones for that pop of colour (#bloggersfavouritetermsthatweallhate) you need. Application wise FOF was dryer than Heroine and I did experience some tugging but it was minimal, something I can live with. Pigmentation wise, super impressed. FOF goes on bright and stays that way, I applied two coats in the swatches below. I am also wearing FOF without any lip liner, I have seen many people team FOF with Nightmoth or Magenta lip liner but the lipstick also works beautifully on it’s own. FOF really surprised me and I can honestly say this is my new favourite “pink” lipstick. The vibrancy of it works so well with my skin tone, I absolutely LOVE it, a little bit more so than Heroine! FOF also stains, sigh, but it’s a small price to pay for such a gorgeous lipstick! All in all I am more than happy with my new additions! Do you have Heroine or Flat Out Fabulous? What other MAC mattes do you love? I've been waiting breathlessly for Heroine too. I'm a bit of a purplelipsticaholic – you're right Revlon Shameless is a good dupe though tad more berry, also if you haven't already seen then Rio in the Sleek Mardi Gras lip palette. Flat Out Fabulous does what it says on you. Yes!! I have Rio such a gorgeous colour, more of a true purple. I love the many shades of purple you can get! 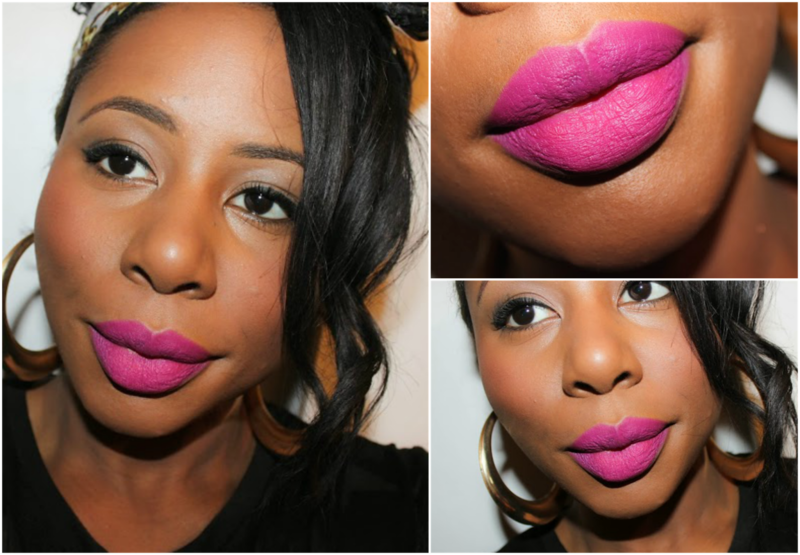 Love the term Purplelipsticaholic!! I have them both! Just received heroine yesterday! Haven't worn it yet. Flat out fabulous Ive had since september and I love it. Such a gorgeous colour. FOF is soo gorgeous, I really wasn't expecting to like it this much!! OMG! I've been waiting for this to come back, such an amaaaazing shade!! Need to purchase it asap. I have both of these and love them so! I lusted after Heroine for so long but couldn't bring myself to pay ebay prices for it so you best believe that the minute it was once again available for sale I snatched it up, ha ha! Both shades look wonderful on you…I think purple complements brown skin tones so beautifully. You should try Relentlessly Red and All Fired Up. I believe both came out in the same Retro Matte collection that FOF was in and they're equally gorgeous. I'm not a fan of the Retro Matte formula as it's so darn dry, but these colours are soooo worth it! Thank you Shayo! Yes, someone else recommended All Fired Up to me too, I'll definitely check it out as I love matte lipsticks, but yes you're right these matte's are a bit too drying in relation to MAC's normal mattes. Flat Out Fabulous suits you so well. Thank you Winnie, I definitely love this pink on my skin tone! Not too ashy at all! Thanks love! Heroine was definitely worth all the waiting!! Believe me! I've has Heroine for a while and I really like it but I don't wear it as much as I thought I would for some reason. You've completely convinced me to get FOF though and I've just added it to my cart! It is a gorgeous lippie but I understand what you mean, I'm like that with a lot of my lipsticks! Haha! Fab! Let me know what you think of FOF! You have the most amazing lips, I'm sure they'd pull off any colour perfectly!